My nail varnish collection is never ending. I add to it at whenever i can because i feel i need more colours in my life even though i already probably have that colour or very similar. My nail collection is mostly made up of Barry M as it has to be my favourite brand of nail polishes just because of the colours they do and they are always bringing out new collections. 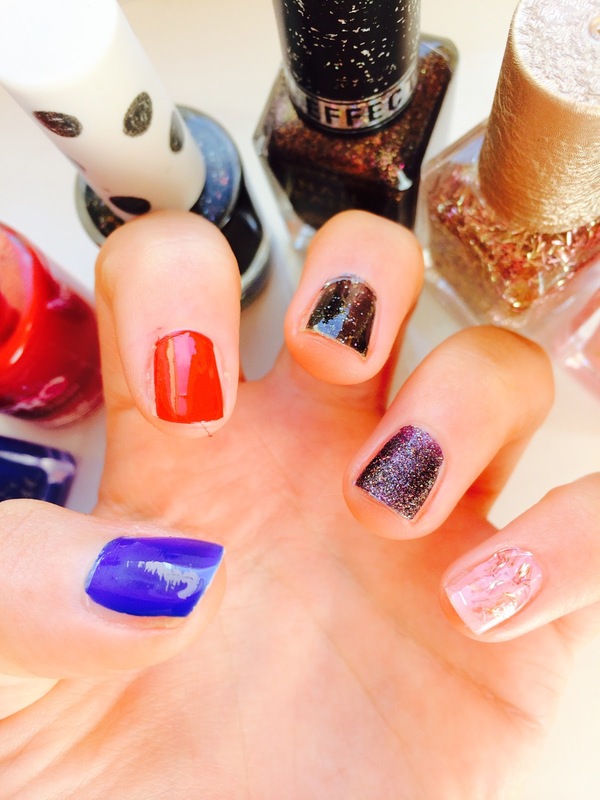 They have so many different types of nail varnishes such as the new Silk collection, textured collection, gel collection and the list could go on. They last as long as a nail varnish can last but the gel ones do last longer! 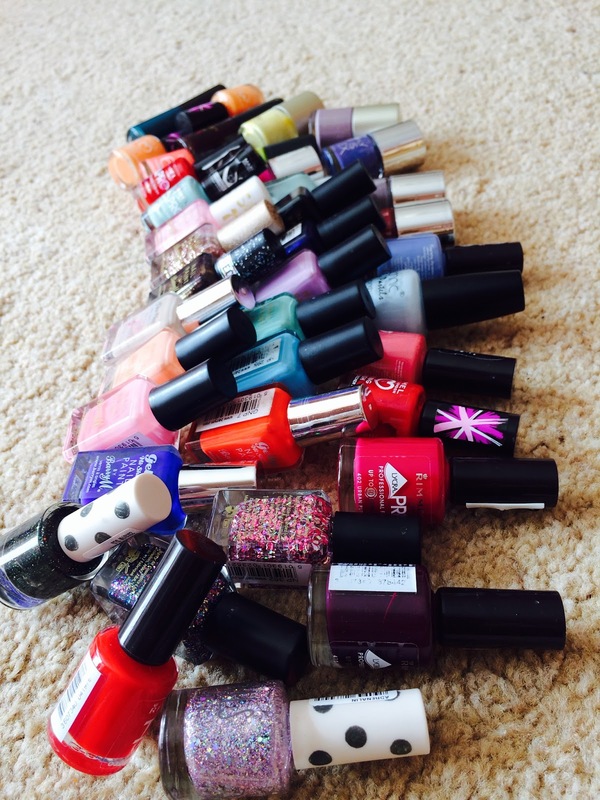 I have sifted through my huge collection of nail varnishes and picked out a few of my favourites! I change my colour at least 2 times a week as i hate it when its chipped or coming off as it needs to be perfect. So these are my top 12! The brands are Rimmel, Barry M and Topshop. Topshop nail polishes are amazing but i never think to go into Topshop specifically for a nail varnish and i always forget to look at the makeup section when i go into the shop, which is why i don't have that many from Topshop. From now on i am going to start making sure i buy more from there. Half of my fav are pastel colours as you know how much of a pastel fan i am. They go lush with a tan and are great to wear in the summer (the sun is shining so get out those pastels guys!). Number 1 is Barry M Silk Collection in 'Blossom', Number 2 is Barry M Gel Collection in 'Lychce' Number 3 is Barry M in 'Peach Melba', Number 4 is Rimmel 60 Seconds in '415 Instyle Coral' and finally number 5 is Rimmel Lycra Pro in '500 Peppermint'. Number 1 is Barry M Gel Collection in 'Blue Grape', Number 2 is Rimmel Lycra Pro in '327 Heart On Fire', Number 3 is Topshop in '103 Gypsy Night', Number 4 is Barry M Textured in 'Purple Countess', Number 5 is Barry M in 'Strawberry l/c' with Barry M Limited Edition in '349' over the top. The one thing about the Barry M textured collection is that they dry matt but i love my nails to be very shiny and i tried putting a clear nail varnish over the top but it only added a tiny shine. 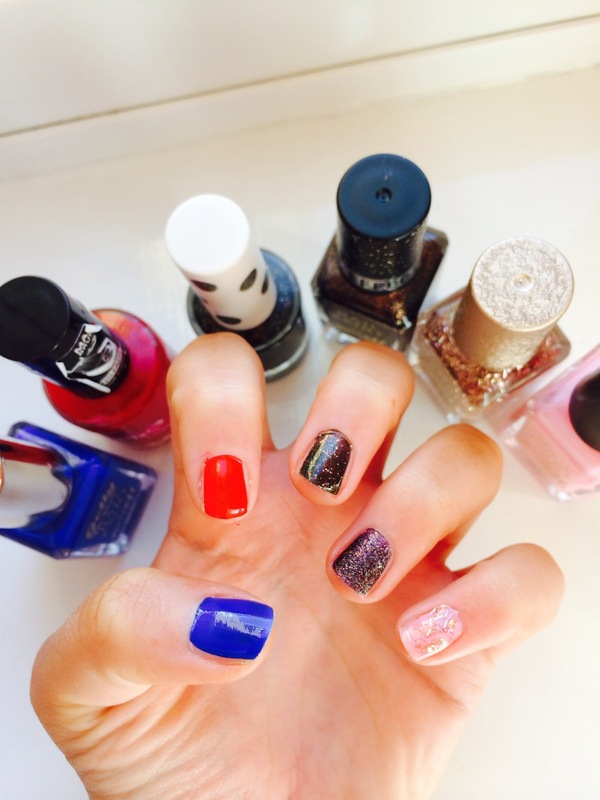 What's your favourite nail varnish?